We interviewed Mexican alumnus Mauricio Verástegui, who completed the International Master in Finance. 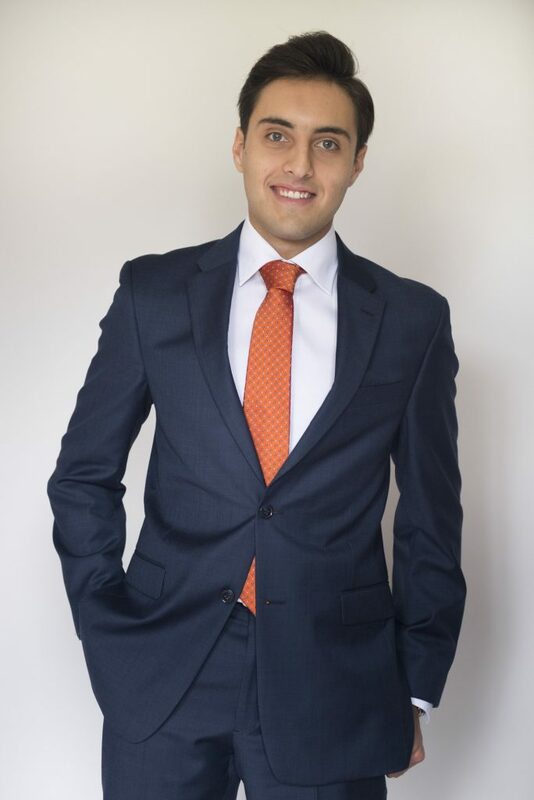 Mauricio holds an undergraduate degree in industrial engineering from Tecnológico de Monterrey, and he completed the master’s at EADA to develop his financial knowledge and business acumen. Mauricio currently works as a Business Analyst at McKinsey & Company. What was the most valuable thing you learned in the programme at EADA? I would say one of the greatest things about EADA is internationality. It was impressive to have more than 20 different nationalities in my programme. It helped me to understand other cultures, work with different people and, of course, make some good friends. What skills do you apply in your current position that you learned in the master’s at EADA? As a consultant, one must have a clear understanding of businesses as a whole. Even though I did not do my programme in Marketing, I had the opportunity to take courses such as Strategic Management or even finance oriented courses such as M&A and Valuation, that had helped me to obtain this “business acumen”. The leadership training modules were amazing — I learned to work with different kinds of people by better understanding their behavior, to express myself better, and to identify the key aspects of a great leader and leverage my own leadership skills. These modules were invaluable. What was the highlight of the overall programme for you? I think the programme has a lot of strengths, some of which I have already mentioned. But, for me, the best part of the master is the mixture of content, hard skills and soft skills. The methodology helps you develop –or improve– key skills. The best part of the master’s is the mixture of content, hard skills and soft skills. I never understood the importance of soft skills until it was demonstrated to me -- now I see them as one of the most important qualities in a person. What was the biggest transformation for you after the programme? I think one of the greatest challenges for me during the programme was the communications skills leadership module. I have always had stage fright, and it was never one of my strengths to stand in front of a group of people and present with great confidence. This module, combined with the multiple presentations during the programme really improved my skills in this area. Do you have any advice for current students looking to get into consulting? In my point of view, there is no secret formula for the perfect consultant. Consulting tries to leverage the strengths of a diverse group of people to offer the best solution to a client. So, my advice is to take advantage of all that you learn during the programme, not only content-wise, but also skills that you develop. Try to leverage all of the leadership modules and really apply them to your development. I never understood the importance of soft skills until it was demonstrated to me — now I see them as one of the most important qualities in a person.